The Outdoor Foundation, which recently released its 2010 Outdoor Recreation Participation Topline Report, is reporting that Americans are spending more time outside. The report shows a 3.3% increase in what they call “core” outdoor activities (from 97.5 million to 100.7 million Americans ages 6 and above) during 2009. The report shows participation increases in skiing, road cycling and camping, as well as a significant increase in snowshoeing, which reported a 17.4% increase over the prior year. The report also shows that the economy has had a significant impact on how Americans are recreating. Americans are spending significantly less money on outdoor equipment as well as travel to participate in outdoor activities. American’s surveyed indicated they preferred activities that could be “done in a day” based on costs and busy schedules; which illustrates how the economy created some vulnerability in the outdoor sports industry, as a whole, according to the study. * Hiking saw a only slight increase of 0.2% versus the prior year, however, over a nine year period, participation in hiking has increased by 8.4%. * After increasing by 18.5% in 2008, backpacking declined by 2.8% in the most recent year. * Climbing (traditional, ice, mountaineering) saw a huge decline of 19.8% in 2009. * After reporting a small decline in 2008, road cycling saw a 5.3% increase in 2009. * The most popular sport according to overall numbers is by far walking, followed by running/jogging, then fishing. Road cycling was the 4th most popular sport, with camping ranking 5th, and hiking 6th. * Nearly 28% of all Americans frequently participate in high calorie activities. Are Mt. Everest ‘Firsts’ Getting Out of Control? As many of you are already aware, on May 22nd, 13-year-old Jordan Romero successfully reached the summit of Mount Everest, and in the process, became the youngest person to reach the top of the world. Alan Arnette, an avid climber who has summited Mt. Everest on three occasions himself, publishes one of the best climbing/mountaineering websites on the internet. Arnette recently weighed in with his thoughts on Jordan and what he has just accomplished. It's an excellent article that provides some interesting perspectives on the story and the controversy surrounding Jordan due to his age. Last year a 50-strong group of amateurs climbed to the 16,945-foot Gorak Shep plateau (just above the Everest Base Camp), in order to set the world record for the highest cricket match. Are Mount Everest ‘Firsts’ Getting Out of Control? Based on the italicised quote above you can get a flavor for some of the ridiculous "Firsts" that are being attempted on the roof of the world in recent years. You can check this article out by clicking here. Secretary of the Interior Ken Salazar announced the designation of 31 trails in 15 states as National Recreation Trails, adding more than 716 miles of trails to the National Trails System. "From coast to coast, the National Trails System helps connect American families with the wonders of the great outdoors," said Secretary of the Interior Ken Salazar. "These new National Recreation Trails, built through partnerships with local communities and stakeholders, will create new opportunities for fitness and stewardship while creating a lasting legacy for our children and grandchildren." Each year nominations for designation of new National Recreation Trails may be submitted. The NRT Program recognizes trails that provide opportunities for all Americans to enjoy the out-of-doors and improve the quality of life of our communities. The trails which are designated are announced in the first week of June as part of National Trails Day events. With nine trails added to the National Trails System, the state of Alabama scored the highest number of newly designated National Recreation Trails. The Highlands Plateau Greenway was the only trail to be designated in the Great Smoky Mountains region. The Highlands Plateau Greenway is located roughly 35 miles south of Cherokee in Highlands, North Carolina, the highest incorporated town east of the Mississippi. The 5-mile network of continuous walking trails connects natural areas and historic sites for educational and recreational opportunities. Straddling the Eastern Continental Divide in a temperate rainforest, the area boasts the highest floral and faunal diversity in North America. Because of this unique environment, landscaping along the trail with plants native to the southern mountains is a major focus. You can find the complete list of newly designated National Recreation Trails by clicking here. Great Smoky Mountains National Park is recruiting volunteers to help staff a new visitor contact station at Clingmans Dome when it opens on Saturday, June 19. The building that served as a comfort station, constructed by the Civilian Conservation Corps, is being renovated and converted into a seasonal information center that will also include a bookstore/sales area managed by the Great Smoky Mountains Association. The center sits at an elevation of 6,300 feet and will be a point source of information on the national park, in general, and on this high elevation spruce-fir ecosystem in particular. Volunteers are needed to assist in educating visitors about the Park and providing recreational and trip planning information and directions to other destinations. Many other helpful services will be available, including the ability to purchase guides and maps, outdoor apparel, and other products sold by the Great Smoky Mountains Association. “The Association is a significant partner with the Park and is involved in a number of projects to improve visitors’ experience. The funding for the renovations to the building, interpretive exhibit material, and staffing is coming from the Association through its revenue raised from merchandise sales and paid memberships,” said Ditmanson. Volunteers will be working alongside Association employees and each volunteer is asked to work at least one four-hour shift per week. The hours will be from 11 a.m. to 3 p.m. Interested persons will be provided orientation and training before beginning at the contact station. The period that volunteers will be needed is during the peak season, June through October. To sign up for this volunteer work or for more information, contact Florie Takaki at 828-497-1906 or by email, Wednesdays through Fridays. Off-road vehicle advocates are suing the U.S. Forest Service over the agency's plans to close the popular Upper Tellico trail area in the Nantahala National Forest. The move is the latest development in a four-year legal battle between four-wheel drive enthusiasts, environmentalists and the government over use of the area. Tellico had attracted off-road enthusiasts from across the county with its nearly 40 miles of trails. The Forest Service last year said it would close the area after finding that off-road driving caused sedimentation that had damaged water quality in creeks and streams. The lawsuit filed last week by the Southern Four-Wheel Drive Association and two other advocacy groups claims the agency broke the law when it started decommissioning trails without telling the public about its plans. Environmentalists vow to fight the lawsuit. I have no idea what's transpired with the water quality in the creeks and streams in question, or whether off-roaders are responsible or not. I should also say that I've never been on an off-road vehicle, nor do I know anyone that takes part in this acitvity. However, I do firmly believe that we hikers do not have sole rights to all public lands. National Forest lands are owned by all Americans, and therefore should be enjoyed through a variety of responsible outdoor pursuits. Provided that off-roaders are respecting the forests, trails and streams, and are acting in a responsible manner, they should have the right to enjoy certain public lands set aside for their particular enjoyments. Last week REI announced that they will be offering Wilderness First Aid courses at their stores across the country. The courses are made possible through a collaboration with NOLS (National Outdoor Leadership School) and its Wilderness Medicine Institute (WMI), a nonprofit organization that has defined the standards of wilderness medicine training for nearly two decades. The Wilderness First Aid courses will be led by WMI instructors and REI Outdoor School instructors that have been qualified by WMI. Beginning in June, the two-day Wilderness First Aid courses (see outline) will teach participants the wilderness medicine skills needed to recreate with confidence in the backcountry. Courses include basics from patient assessment to traumatic, medical and environmental emergencies. Participants will also learn and practice how to respond to a wide variety of incidents to help prepare them to act in case of an accident outdoors. Wilderness First Aid courses are $200 for REI members and $220 for non-members, and include books for each participant. For more information on locations and schedules, please click here. The public will get an opportunity to view a live broadcast of biologists banding two bald eagle chicks on Santa Cruz Island today. The biologists will band the chicks, attach wing tags, radio and satellite transmitters, and conduct health checks. The event will take place today from 2 p.m. to 3 p.m. EST (11 a.m. to noon Pacific time). The two bald eagle chicks are currently close to fledging. These birds will join a population of over 30 bald eagles that now reside on the northern Channel Islands. This bald eagle nest is on The Nature Conservancy’s property on Santa Cruz Island, the largest in the chain of eight Channel Islands. Please click here for more information and to access the live webcam. A couple of weeks ago I posted some local/regional events for the upcoming National Trails Day. Since then I've come across a few others that you might be intrested in. National Trails Day is the American Hiking Society's signature trail awareness program, and it will take place on June 5th this year. * The Great Smoky Mountains will be putting volunteers to work on two trail locations from 9 a.m. and 3 p.m: the Grassy Branch Trail near Cherokee and the Crooked Arm Ridge Trail in Cades Cove. Equipment, including work gloves, will be provided. * Shenandoah National Park will offer a variety of guided hikes as well as some trail skill seminars for hikers and backpackers. * The Southern Appalachian Back Country Horsemen will be doing trail maintenance work on the Mill Branch and the Iron Gap trails in the Cherokee National Forest. * The SORBA Chattanooga chapter is sponsoring a work/play weekend at Big South Fork Recreation Area. * The Cumberland Trail Conference will sponser two hikes along the Cumberland Trail near Soddy Daisy. * Construction of a missing link of the Mountains-to-Sea Trail around Waterrock Knob on the Blue Ridge Parkway is being directed by the Carolina Mountain Club. Meet at 9:30 a.m. at the Fork Ridge Overlook at milepost 229. 828.658.1489 or ccf108@gmail.com. 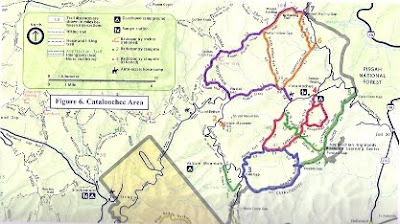 • The Nantahala Hiking Club will take a four-mile, moderate to strenuous work hike with the Appalachian Trail Conservancy Konnarock trail crew in the vicinity of Tellico Gap. Meet at Westgate Plaza in Franklin (opposite Burger King) at 8 a.m. 828.369.1983. * The Smoky Mountain Hiking Club will utilize the day as a trail repair and construction event. They will meet in Gatlinburg at 7:30 a.m. that morning. * The Carolina Mountain Club will host a couple of hikes, including the Lakeshore Loop near Fontana Lake in the southern Smoky Mountains. * Chimney Rock State Park will be offering free guided hikes on the hour from 11am to 3pm with park education staff and rangers who will discuss the plants and wildlife at the park. * The Tennessee Eastman Hiking and Canoeing Club and will host a hike to Grassy Ridge Bald on Roan Mountain. You can get more details on each of these, and see the complete list of events across the country, by clicking here. Please note that more events are being added as we get closer to June 5th. Clingmans Dome Road – Set to open on Saturday, June 19. When the road opens, repaving work will continue on the lower 3 miles of road with one lane closures and flaggers through July 2. Roaring Fork Motor Nature Trail – A new completion date is to be determined (previously set to open May 28). The work involves resurfacing the 5.6 mile road with asphalt concrete pavement and will include resurfacing all existing parking areas, trailheads, and roadside pullouts. Heintooga Ridge Road - Set to open Friday, May 28. When the road opens, repaving work will continue with one lane closures and flaggers through August 31. Balsam Mountain Campground – Set to open on or before Thursday, June 17. Note: Campers should begin checking the status of the campground opening on the Park’s website the week of June 7. The 45-site campground is being repaved. Sinks Parking Area along Little River Road – Set to open Monday, June 28. The majority of the project involves construction and reconfiguration of the parking area and a new handicap accessible observation platform to view the waterfalls. Gatlinburg Bypass – The repaving project is on hold and a new construction schedule will be determined. Foothills Parkway (Blount County) – The road is open, however motorists can expect single lane closures and flaggers with minimal delays. The resurfacing/paving project will be completed on Wednesday, June 30. Foothills Parkway (Cocke County) – The repaving of this road will begin in late May and is scheduled for completion on Tuesday, August 31. Note: During this period of construction, the road will be closed to all public use for a four week period. The dates of this closure have not been determined but will be posted on the park’s website. Little River and Jakes Creeks Trailheads – The trailheads will be closed from July 6 through August 31 and will affect trailhead parking. Due to the lack of available trailhead parking, visitors are advised to utilize other Park trails during this period. The trailhead work will result in paved parking spaces. Newfound Gap Road between Collins Creek Picnic Area and Cherokee, N.C. – This repaving project is slated to be finished in early January 2011. Smokemont Campground – Set to open Friday, May 28. The 142-campsite is being repaved. In addition, the construction of bridge 2 on the unopened segment of the Foothills Parkway on the Sevier County end of the “Missing Link” began this spring. All public use (walkers, cyclists, and equestrians) is now prohibited since heavy construction equipment will be traveling the roadway. Improvements to the Cosby Campground and Cades Cove Loop Road have been completed, as well as the painting and/or reroofing of 65 comfort stations in picnic and campground areas. The park’s website is the best source for obtaining up-to-date information on the status of the projects and opening dates of facilities and how each project may affect visitor access to certain areas, i.e., trailheads. The site also provides a map outlining the project areas with details on the type of work being accomplished. Last week, the National Park Foundation and the National Park Service established the National Parks Disaster Recovery Fund to help national parks recover from future natural and manmade disasters. The fund was immediately activated by Director Jarvis and NPF President and CEO Neil Mulholland to begin raising funds that will be available to Gulf parks for immediate needs throughout the oil spill disaster as well as long-term monitoring of the health of damaged ecosystems. No funds raised will be used to mitigate the liability of any responsible parties for the injuries caused by the oil spill. Individuals wishing to support this effort may visit www.nationalparks.org, or text “PARKS” to 90999 on their mobile device to make a $10 donation. Funds raised between now and July 1, 2010, will go directly to the impacted parks in the Gulf and support critical and immediate needs as well as sustained scientific study of maintenance of impacted ecosystems. To learn more, visit http://myaccount.nationalparks.org/GulfSpill. More than three weeks after storms and heavy rains, Mammoth Cave National Park staff continue to assess damages and make repairs, where possible, following the flood that hit the park on the first two days of May. The canoe launch and picnic area are now open at Dennison Ferry day use area, Joppa Ridge Road has reopened, and all cave tours are operating on their normal schedule and along traditional routes. Houchin Ferry remains closed. Houchin Ferry Road South is open, but only for access to the river. The pavilion picnic tables floated away and the campground is in disrepair. Houchin Ferry campground still needs a significant amount of work. Though park trails on both sides of Green River were impacted by the flood, Cedar Sink is the only trail in the park that is closed. Ugly Creek/Little Jordan Road suffered washout damage and is closed between Wilkerson Cemetery and Little Jordan Cemetery. For more information on hiking at Mammoth Cave, please click here. The footbridge crossing Deep Creek near the junction of Deep Creek Trail and Pole Road Creek Trail is washed out. Fording Deep Creek during periods of high water is very difficult. As part of the process to create a master plan for Chimney Rock State Park in the Hickory Nut Gorge, the N.C. Division of Parks and Recreation will conduct a public planning session on May 26 at the Lake Lure Town Hall. Citizens are invited to visit the drop-in session anytime from 10 a.m. until 7 p.m. Proposed design alternatives for the state park will be presented and the public will be able to ask questions and offer comments to officials of the state parks system and Greenways Inc., a Durham-based environmental planning and landscape architecture firm responsible for completing the plan. A state park’s master plan is essentially a blueprint for long-term development of facilities and recreation opportunities and a guide for protection of natural resources. It is meant to be an organic document, evolving as the park grows and as knowledge is gained about a park’s natural resources and public use. The master plan could help the agency decide how the attraction will be operated, if the fee will remain and if trails will be built through the backcountry. It could also help decide if the popular Skyline-Cliff Loop trail leading up to the top of Hickory Nut Falls will reopen. The trail was closed two years ago after a 2-year-old boy fell to his death on the trail, which is comprised of man-made structures to navigate the sheer rock faces. The master plan will also guide land acquisition - Chimney Rock could grow by another 2,000-4,000 acres. The N.C. General Assembly authorized Chimney Rock State Park in 2005, and more than 4,300 acres in Rutherford, Polk, Henderson and Buncombe counties has been acquired in partnership with The Nature Conservancy, the Carolina Mountain Land Conservancy, the Foothills Conservancy of North Carolina and others. In 2007, the former Chimney Rock tourist destination was added to the park and offers the principal current public access. The drop-in planning session will involve a workstation format allowing citizens to attend at any time during the day and spend as much time as necessary to review and discuss design alternatives. Proposed designs will also be available beginning May 26 at www.greenways.com/chimneyrock. Written comments may be submitted through June 23 either by using an online comment sheet or by mail to: General Management Plan Coordinator, NC Division of Parks and Recreation, 1615 MSC, Raleigh, NC 27699-1615. For general information on the park, including hiking information, please click here. The Wilderness Road that travels through the Cumberland Gap has seen hundreds of years of history and has been witness to tales of heartbreak and joy, loss and discovery. 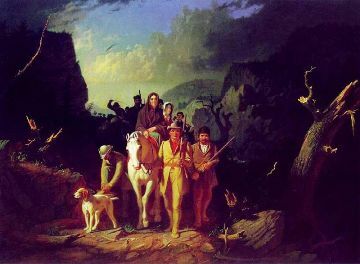 Visitors can discover these stories during the Friday, May 28th event, “Within the Shadows of Cumberland Gap Heritage Walk,” to begin at the Daniel Boone parking area in Virginia at 6:30 p.m.
During the 1.5 mile long walk through the Gap, visitors will meet several “ghosts” from the road’s past. They will hear the tales of a Cherokee warrior and a long-hunter from 1700 and 1780. Mary Cloud Turner, wife of Revolutionary War soldier John Turner, will be there, sharing her experiences as a resident along the Road in the early 1800s. Meet Matilda, a slave from Newlee’s Iron Furnace down in the town of Cumberland Gap, who is looking for an escape route along the Road in the 1850s. Soon after Matilda fades away, encounter Confederate soldiers of the Civil War during their occupation of the Gap in 1861. Jump forward in time again to the 1920s and meet an English gentleman and his roadster, out for a ride on the newly paved Dixie Highway. Finish your tour with a park ranger, not from 2010 but from 1960, as he welcomes all to this brand-new gem of the National Park Service. 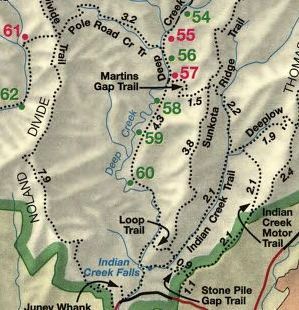 The 1.5 mile walk through the Gap along the Wilderness Road is moderate with one uphill section and some loose gravel. Visitors should wear sturdy walking shoes. A shuttle will be provided to take visitors back to the Daniel Boone parking area after the event, which is expected to last approximately two hours. For more general information on hiking at Cumberland Gap National Historical Park, please click here. Check out this video of twin baby moose and their mother playing in a sprinkler in the backyard of a home in Anchorage, Alaska. 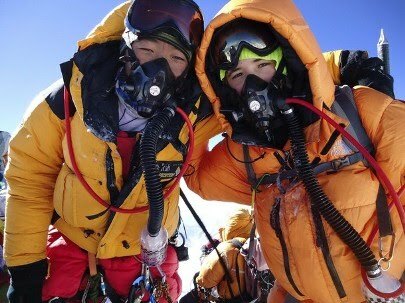 There's a brief posting on Jordan Romero's website stating that the 13-year old has successfully reached the summit of Mount Everest, thus becoming the youngest person to reach the top of the world. The team just called in and confirmed that they are standing on top of Mt. Everest - the highest peak in the world. Their dreams have now come true. Everyone sounded unbelievably happy. They also thanked everyone who supported them and encouraged them throughout their journey. I’m sure we’ll hear more from them soon! A subsequent posting on the blog also states that the Team’s SPOT GPS is indicating that the team has arrived safely back at Camp 2 (24,750 ft) roughly 26 hours after reaching the summit. For Jordan, Mt. Everest just became the sixth of the "Seven Summits" - the highest points on each continent - that he has now summited. 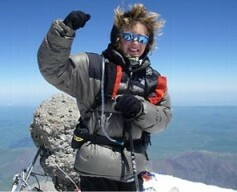 He hopes to become the youngest to reach all "Seven Summits" by tackling Mt. Vinson in the Antarctic later this year. The synchronous firefly show, which researchers have identified as a rare form of “simultaneous bioluminescence”, is a popular and growing attraction for the Smoky Mountains. Each evening, several hundred park visitors begin arriving in Elmont with blankets, chairs and flashlights to witness the natural phenomenon that occurs after the park becomes pitch black. If you would like to see this incredible show, you should be aware that the park closes the road to Elkmont. The only way to access the area is by using the trolley service provided by the park from the Sugarlands Visitor Center beginning on Saturday, June 5th, through the following Sunday night, June 13th. The Elkmont entrance road will be closed to motor vehicles and pedestrian use every night from 5:00 p.m. until midnight, June 5-13, except to registered campers staying at the Elkmont Campground. The trolleys will begin picking up visitors from the Sugarlands Visitor Center RV/bus parking area at 7 p.m. this year. The trolleys will run continually until the Sugarlands Visitor Center parking area is full, or until 9 p.m., whichever comes first. The last trolley to return visitors from Elkmont to the Sugarlands Visitor Center is scheduled at 11 p.m. The cost will be $1 round trip per person as in previous years. It's recommended that visitors bring flashlights with red cellophane covers to reduce white light. Visitors can bring lawn chairs, and carry food and water in backpacks which can fit on their laps in the trolleys. Please note that there are no services available at the site. Visitors are prohibited from bringing coolers, alcoholic beverages, or their pets. Summer is the time for… climbing the peak … hitting the trail … rafting the gorge …even discovering our history. Before heading out for adventure, all but the most spontaneous traveler spends at least a little time planning an itinerary, negotiating routes and researching the environs. If you’re looking for great places and things to do, the National Park Service has the site for you. The National Park Service’s new 2010 Summer Adventure trip planning website connects visitors to travel resources, events and services at national parks across the country. An easy-to-navigate design links visitors to sites of interest, lodging, upcoming events and tips to get the most out of their national park adventure. An interactive calendar makes it easy to search for special events by state or by park. Visitors will also find information about educational programs in the national parks and an array of travel guides. Visit the site at www.nps.gov/pub_aff/plan_your_visit/index.htm. Backpacking with Confidence is a hands-on field course offered by the Smoky Mountain Field School, an organization founded through the cooperative relationship between The University of Tennessee and the Great Smoky Mountains National Park. In this class you'll gain the confidence and know-how to care for yourself in the backcountry. You'll learn the basics of backpacking (from how to get safe drinking water and storing your food, to setting up camp) and will help you cope with whatever challenges you may encounter and make any adventure safe and enjoyable. The course will also discuss wildlife that might be encountered to help you become more familiar and comfortable. Participants will also enjoy both the natural and cultural history aspects of the Smokies along the Porter's Creek Trail. This moderate (7.4 miles roundtrip) is well known for its high diversity and abundance of spring wildflowers. Meals and some gear are to be provided by each participant. The course is scheduled for the weekend of May 29-30th, and the cost is $98 (nonrefundable). For more information, please click here. American Hiking Society's signature trail awareness program, National Trails Day, will take place on June 5th this year. One of the goals of National Trails Day is to inspire the public and trail enthusiasts nationwide to seek out their favorite trails to discover, learn about, and celebrate trails while participating in educational exhibits, trail dedications, gear demonstrations, instructional workshops and trail work projects. There will be many events all across the country. The Smoky Mountain Hiking Club will utilize the day as a trail repair and construction event. They will meet in Gatlinburg at 7:30 a.m. that morning. The Carolina Mountain Club will host a couple of hikes, including the Lakeshore Loop near Fontana Lake in the southern Smoky Mountains. Chimney Rock State Park will be offering free guided hikes on the hour from 11am to 3pm with park education staff and rangers who will discuss the plants and wildlife at the park. The Tennessee Eastman Hiking and Canoeing Club and will host a hike to Grassy Ridge Bald on Roan Mountain. These are just a couple of examples. You can get more details on each of these, and see the complete list of events across the country, by clicking here. The Catawba Rhododendron is abundant all across Grandfather Mountain, from MacRae Meadows at 4,300 feet in elevation to MacRae Peak at 5,845 feet in elevation. Because the shrub abounds across this broad range of elevations, its purple flowers can be enjoyed at each successive elevation. The first blooms appear at the lower overlooks in early June and the display will arrive at the Swinging Bridge by the end of the month. Naturalists at Grandfather Mountain will be waiting to share their excitement for the showy rose-lavender blossoms. Visitors can join park staff from June 1 thru June 13 for the "Remarkable Rhododendron Ramble" and participate in special programs and activities that celebrate this herald of summer. All programs and guided walks offered as part of the Remarkable Rhododendron Ramble are included in the price of admission. For details, please click here or phone 800-468-7325. For information on the hiking trails at Grandfather Mountain State Park, please click here. Blue Ridge Outdoors Magazine recently published their list of the Top Summits in the Appalachian Mountains, "the pinnacles of outdoor adventure". The list was put together with a bit of a swist. It's not just about hiking to the summit of each of these mountains. The magazine put together a list of mountains that offer several ways to enjoy them; such as biking, backpacking, racing, climbing, camping, paddling and even swimming on them. 8) Table Rock Mountain, S.C. Build It. Bike It. Be a Part of It. The Adventure Cycling Association is working in partnership with dozens of state and federal agencies, nonprofits, volunteers and the U.S. Congress to create an official U.S. Bicycle Route System, connecting America’s urban, suburban and rural areas. The project, dubbed as U.S. Bicycle Route System: Build It. Bike It. 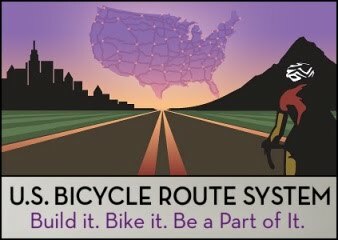 Be a Part of It., will connect cyclists across the U.S. with cities, transportation hubs, scenic and historic destinations through existing (and new) infrastructure; and will be numbered and officially recognized by state and federal government agencies. This visionary project will be similar to the national and international systems blossoming across the globe (such as Euro Velo). The Adventure Cycling Association is already working on projects within these states: Florida, Georgia, Virginia, Michigan, Wisconsin, California, Oregon, and Washington. Other states are just getting started: North Dakota, Tennessee, Missouri, Ohio, Kentucky, Indiana, and Utah. And still more are reported to be ready to go: Maine, New Hampshire, and Connecticut. All these states are in different stages of development and have varied techniques for implementation based upon resources, volunteers, and governmental structure. Last week, the Adventure Cycling Association kicked off a grassroots fundraising effort to raise more than $20,000 to support organizing and cartographic efforts for the route system. They're working through social media outlets to get people to donate as little as $10. For more information on the project please click here, and to contribute, please click here. Blue Ridge Outdoors recently published a short article on the Linville Gorge Wilderness Area. Included in the article was a short video taken at sunset in the springtime at Wiseman's View in the Linville Gorge. For more information on hiking in the Linville Gorge Wilderness, please click here. Today, Glacier National Park in Montana celebrates its 100th Anniversary as a national park. On this day in 1910, Glacier became the 10th national park in the system. Throughout the summer Glacier will be hosting special centennial events, including a re-dedication of park headquarters, special tours, a film festival, and art shows. As with the 75th Anniversary of the Great Smoky Mountains, Glacier has also developed a special website. Words and pictures can't describe how beautiful Glacier Park really is. If you've never been there, it definitely needs to be on your "bucket list". With over 700 miles of trails, Glacier is definitely a hikers paradise. In case you missed it, last fall I posted an article about our experiences at Glacier during our two visits to the park. The posting includes several photos as well. 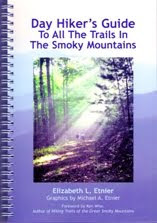 Liz Etnier, author of the Day Hiker’s Guide To All The Trails In The Smoky Mountains, recently sent me an advanced copy of her brand new third edition of the book. The Day Hiker’s Guide is completely unique in comparison to all the other hiking guide books for the Smokies. If you’re planning to conquer all 800+ miles in Great Smoky Mountains National Park, and thus become a member of the Smoky Mountains “900” miler club, this book is an essential resource. If you’ve ever looked closely at a map of the Smokies you’ll notice that many of the trails are interconnected. Without a good plan of attack, a person attempting to hike every mile of trail in the Park could end up repeating hundreds of miles. Liz has solved this problem by laying out a logical approach to hiking each of the 151 trails in the Park in just 75 day hikes, making the process as efficient as possible. Liz, an avid hiker and a member of the Smoky Mountains “900” miler club herself, has written this guide to assist others who aspire to hike all the trails in the Great Smoky Mountains. Her approach minimizes duplication of miles hiked while ensuring that no trail segments, or spurs, are left behind. Indeed, if you follow her approach, you can hike all the maintained trails in the Smokies in a total of only 1060 miles! The day hikes contained within the book range from just a few miles to some that are over 20 miles in length. The guide divides the Smokies into nine areas, and includes excellent color-coded maps showing the hikes for each area, as well as tables that list the trail sequence and total mileages for each hike. Included as well are a list of available car or boat shuttle services for the more remote hikes, a handy checklist of all trails, and over 30 color photographs of the Smoky Mountains, wildflowers, and historic structures in the Park. The book comes spiral-bound with heavy glossy paper, making the book a durable and handy companion on all your hikes. For more information, and to purchase the book, please visit Liz’s website by clicking here. A Michigan man died yesterday after being found unresponsive during a backpacking trip in the Great Smoky Mountains National Park. This past Friday night, Ross Sabin Enderle, 26, of Pontiac, MI, and his three hiking companions, stayed at the Icewater Spring Shelter, roughly 3 miles east of Newfound Gap along the Appalachian Trail. When his companions woke the next morning and tried to wake Enderle, they found him unresponsive. One of the hikers contacted E-911 via cell phone and park rangers were notified around 7:45 a.m. When rangers arrived at the shelter at 9:14 a.m., Enderle showed no signs of life. He was taken to Harris Regional Hospital in Sylva, N.C. Authorities are awaiting results from an autopsy and a toxicology report. Rangers are continuing an investigation to determine the cause of death but preliminary findings indicate there was no foul play. Summer hiking season's on, and Backpacker Magazine is looking for a few good hikers to help them expand their digital map room and make even more miles of trails available for download to GPS units, smartphones, and computers. All you need is a GPS unit, a love of the outdoors, and a bit of a gear fetish. Potential prizes await for all contributors - with the most productive contributor earning a closet-full of Editors Choice gear and an epic trip to the Colorado Rocky Mountains with our map editors. Backpacker Magazine wants quality trips; with 1-2 pictures per mile (at least 5 images per hike), waypoints for key points-of-interest on the route (trail junctions, water sources, campsites, summits, overlooks, tricky spots, etc. ), and, if you can, on-trail video clips. (Here's a near-perfect example on Olympic NP's Hoh River) Your trip could end up in the magazine. Additionally, each trip you submit enters you in a raffle for a monthly piece of gear; the more trips you submit, the better your chances for winning that month's piece of gear. But it gets better: By the time hiking season ends in November, Backpacker will count all your submitted trips, and the person with the most gets a full complement of Editors' Choice 2010 gear AND a trip out for an epic adventure in a secret spot in Colorado's Rockies. If you're interested, just click on to the official BACKPACKER Map Contributor contest page. TripAdvisor.com just released its 2010 Travelers’ Choice Awards and the Great Smoky Mountains have been named the 9th best destination in the U.S. for Outdoor & Adventure Destinations. The Travelers’ Choice Awards are based on the millions of real and unbiased reviews and opinions from travelers on TripAdvisor.com. The winners were determined by a combination of travelers’ destination comments, favorite places, and overall destination popularity on TripAdvisor. Destinations were named in the following categories: Top Destinations in the U.S. and World, Best for Families, Romance, Beach & Sun, Culture & Sightseeing, Food & Wine, Nightlife, Outdoor & Adventure, Relaxation & Spa, and Top Emerging Destinations. I'm kind of surprised that Yellowstone and Yosemite didn't rank higher. Click here to see all the rankings for all categories from TripAdvisor. This past weekend Eric Schniter attended a conference for evolutionary social scientists in San Luis Obispo. Some in his group decided to stay at a campground near Pismo Beach to save some money and have some fun. "After a fun night by the campfire and out on the dunes and the beach I made it to sleep about 1 am. At 4:30 I heard loud cracking of tree branches somewhere a bit off in the distance. The sound woke me up and got my attention, but I assumed it was a branch falling out of a tree and I was almost ready to go back to sleep. A friend from the next tent over was outside my tent asking if I was alright. 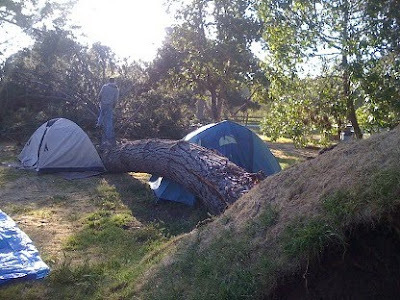 I opened the tent flap and immediately saw a large tree trunk from a fallen tree - right in my face. Then i realize that the corner of my tent was collapsed under the tree's trunk. I pulled the tent (mine is the grey one) out from under the tree before the pictures were taken, but you can see kind of where it was positioned in accordance with the tarp it was on. I'm still shocked and feeling rather lucky. My tent is doing just fine, just a little scuffed on the rainfly." Seriously, those guys are extremely lucky to be alive today. To help celebrate the 40th anniversary of Earth Day, Secretary of the Interior Ken Salazar recently announced the schedule of 2010 free admission days to many of the lands managed by the Department of Interior. * November 11 (Veterans Day). Shenandoah National Park and the Potomac Appalachian Trail Club will celebrate National Trails Day on June 5th. New hikers and experienced backpackers alike are invited to learn new trail skills and practice old ones at the Beyond the Trailhead event at the Byrd Visitor Center, milepost 51 on Skyline Drive. Come participate in hikes, demonstrations, and presentations throughout the day. A variety of hikes guided by experienced Trail Patrol members will be offered for people of all ages and experience levels: hikes suitable for families with children and easy, moderate, and advanced hikes for adults. Hikers will need to meet at the registration table at Byrd Visitor Center 15 minutes before the hike time to sign in. Hikers should wear footwear and clothing for the season, and bring plenty of water. Click here for the schedule of hikes. 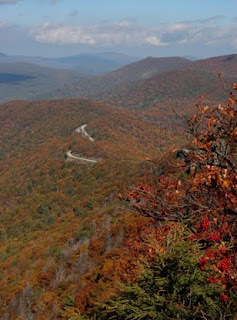 For more information on many of the trails in Shenandoah National Park, please click here. Summer is rapidly approaching, which means that hiking season in the Smokies is already swinging into full gear. If you're planning a trip to the Great Smoky Mountains this spring or summer, I'd like to take this opportunity to remind readers to check out the vacation rentals on our website to find that perfect cabin or chalet. Our site offers a wide selection of vacation rentals with a variety of amenities in the Gatlinburg, Pigeon Forge and Townsend areas, as well on the North Carolina side of the Smokies. 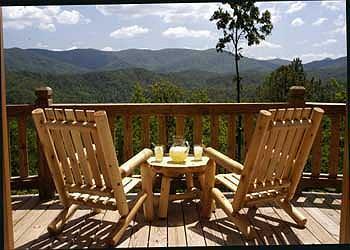 If you haven't visited our cabins page in awhile, you should know that we're always adding new listings. To see all of our listings, please click here. Also, I wanted to note that I received an email today from Dan Cramer, owner and operator of Cramers Creekside Cabins in the Gatlinburg and Pigeon Forge area. During the month of May, Dan is offering a 20% discount on all cabin rentals. Simply visit his website at www.cabins123.com and then enter "MAYFLOWERS" as the promo code to take advantage of this excellent deal. Please know that when you patronize our advertisers it helps to support HikingintheSmokys.com. Due to its popularity, I thought I would mention that the Great Smoky Mountains website just posted a note that there's now a bear warning for the Laurel Falls Trail. This simply means that a bear, or bears, have been active in the area. Native only to North Carolina, the pink-shell azalea grows in spruce forests at high elevations in three mountain counties. Delicate pink blossoms appear in mid-May. The azalea vaseyi is considered globally endangered with less than 100 populations known to exist. The largest natural population of the pink-shell azalea in the world can be found on the slopes of Grandfather Mountain, covering the peaks of the mountain in pink clouds from mid to late May. One of the best shows of the year! 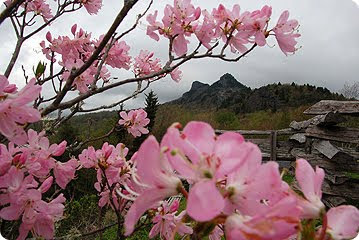 Please click here for information on visiting Grandfather Mountain. For information on the hiking trails in the state park, please click here. Yesterday my wife and I went to the 136th running of the Kentucky Oaks. Known locally as "Louisville's Day at the Races," the Kentucky Oaks is arguably the second most important race in the state. Yesterday's race attracted 116,046 people - a record for the Oaks. For comparison, the record attendance for the Kentucky Derby was 163,628 in 1974. Actually, we we're supposed to go to the Kentucky Derby today, but opted out after seeing a forecast of 3 to 4 inches of rain. So we decided to go to the Oaks instead, a first for both of us. No doubt the weather situation played a role in setting yesterday's attendance record. As with last year's Kentucky Derby, my wife was again able to score a couple of press passes for both of us, meaning we were free to go just about anywhere at Churchill Downs. After three tries from this location near the media broadcasting area over the last three years, I finally got a good race action shot with the Twin Spires in the background. You may have noticed a lot of pink in this photo. The reason for this is that Churchill Downs has declared the Kentucky Oaks to be a "Pink Out" day in order to raise awareness for breast cancer. Churchill Downs donates a dollar for each ticket sold to the Susan G. Komen for the Cure foundation. The "Pink Out" leads me to the title of this blog. In conjunction with rasing money and awareness for breast cancer, there was a group selling t-shirts with the "Saving 2nd Base" moniker. I'll let you figure out the connection. One final historical note: The track is named for John and Henry Churchill who leased 80 acres of land to their nephew, Colonel Meriwether Lewis Clark, Jr., the grandson of explorer William Clark of Lewis and Clark fame. Clark, Jr. launched the first Kentucky Derby in 1875. 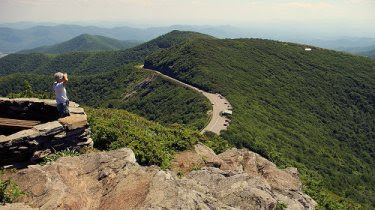 For the Blue Ridge Parkway's 75th Anniversary, the RomanticAsheville.com Travel Guide has selected the "Top 10 Places to See Along the Parkway" in the Asheville area. For more information on many of the hiking opportunities along the Blue Ridge Parkway, please click here.